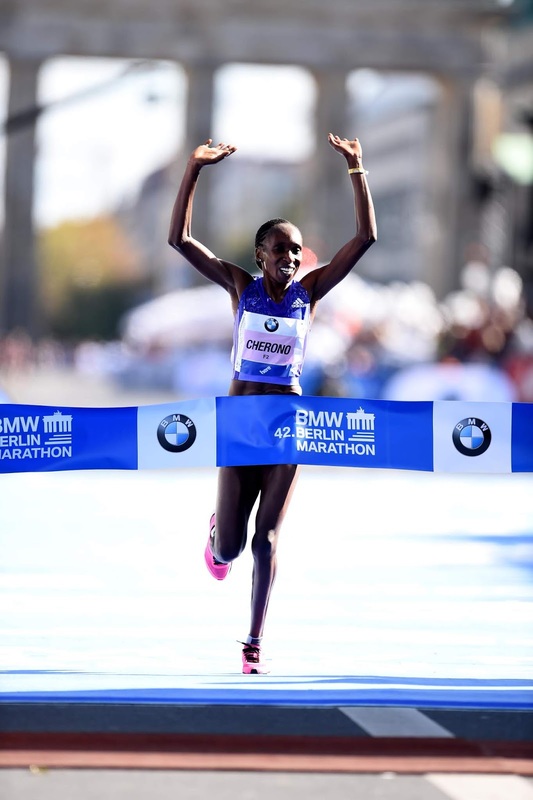 The elite women’s field for the 45th edition of the BMW BERLIN-MARATHON 2018 is the strongest for many years. 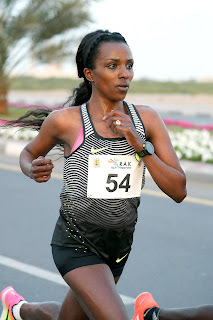 At the top of the entries is one of the best female distance runners of all time, Tirunesh Dibaba from Ethiopia. The 32-year-old has won three gold medals at consecutive Olympic Games (2008 and 2012) and five World Championships from 2003 to 2013. For good measure, Dibaba has also four World Cross Country titles to her credit. Her personal best is 2:17:56, set in finishing second at the 2017 Virgin Money London Marathon which makes her the third fastest woman in the history of the marathon. Dibaba is keen to beat this time in Berlin and, given ideal weather conditions, might even have a chance of attacking Paula Radcliffe’s world record of 2:15:25, set by the Briton in 2003. Alongside Tirunesh Dibaba on the start line will be three other women with best times under 2:20. The 35-year-old Gladys Cherono from Kenya has won Berlin twice before, in 2015 and 2017 and her best of 2:19:25 was achieved in the first of those victories. Highly popular bib numbers for the BMW BERLIN-MARATHON are always sold out since 2006. Runners have to apply in October for a lottery system which determines who will receive a starting place. Additionally travel agents, charity partners and sponsors receive a certain number of guaranteed entries. 43,852 runners were registered for the BMW BERLIN-MARATHON 2017. The BMW BERLIN-MARATHON is part of the Abbott World Marathon Majors(AWMM), the group of six leading marathons in the world which was founded in 2006. They comprise Tokyo, Boston, London, Berlin, Chicago and New York. The winners and leading finishers at the six AWMM races earn points according to their positions which culminate in an overall men’s and women’s winner at the end of a one-year-cycle. Phicomm, provider of overall smart life solutions, is this year’s event’s official co-sponsor as well as the Timing Partner. For Phicomm’s president, who is a running enthusiast himself, it was an easy decision to participate in Germany’s biggest marathon. “As a passionate runner, I have finished several marathons”, said Guoping Gu, president of Phicomm (Shanghai) Co., Ltd. Furthermore the 45th BMW BERLIN-MARATHON perfectly integrates in Phicomm’s strategical realignment in the area of smart life products. “With our smart health products, we support customers, who strive for a healthy and athletic lifestyle. Currently we are developing a new fitness wristband, which tracks the runner’s progress when he trains.” Phicomm’s new fitness band W3 will enter the German market in September 2018. Phicomm also supports the Chinese national association for athletics. 46 runners will be invited to travel to Germany’s capital Berlin to one-up their personal high scores and to join “Team Phicomm”.